With September on the horizon, there’s one question on our minds: will diversity on the runways continue to rise? Last season, for the first time ever, every New York Fashion Week presentation on our roster featured at least one model of color, giving us reason to hope. Close examination of this season’s ad campaigns has left us feeling even more optimistic. 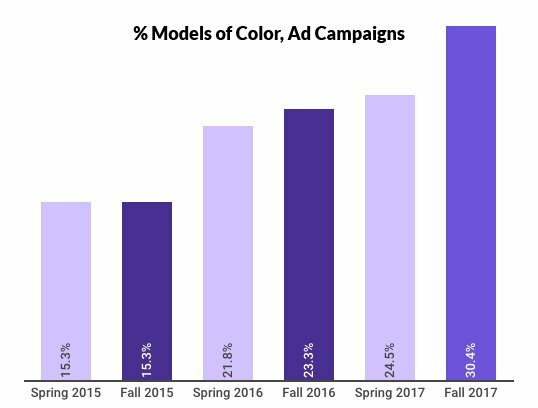 After reviewing 187 Fall 2017 fashion print ads comprising 457 model castings, we found that — in a refreshing change of pace — the most recent ad season was more racially diverse than its runway counterpart. Moreover, for the first time ever, the number of nonwhite models cast exceeded 30 percent. This season, a record 26 plus-size models walked the runways of New York — something of a watershed moment for the fashion industry. And yet, in the print advertising domain, designers’ interest in size diversity appears to have plateaued. Plus-size women accounted for just 10 of the 457 castings — in other words, 2.2 percent. That’s a 0.1 point dip from the Spring 2017 campaign season. The stagnant (and for that matter, low) number of plus-size castings shows that designers still have a long way to go in terms of inclusion. On the upside, for the first time in recent history, plus-size brands weren’t responsible for the majority of castings (only 3 of the 10). 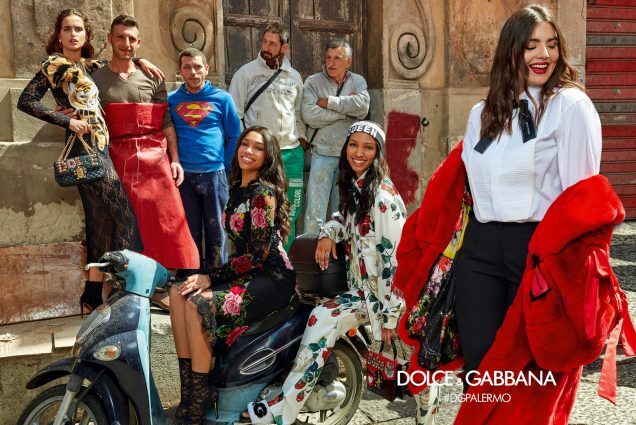 Dolce & Gabbana’s millennial-heavy Fall 2017 campaign starred Alessandra Garcia Lorido (along with a host of celebrity progeny). D&G wasn’t the only luxury brand to embrace size diversity: Emma Breschi featured in Andreas Kronthaler for Vivienne Westwood’s fall spread. It’s worth noting that Lorido and Breschi are far from household names — both have fairly modest Instagram followings (47.1k and 11.3k, respectively). Their inclusion suggests that designers have begun to realize the dangers of tokenism. Even (relatively) little-known curvy models are now being given opportunities to shine. Still, fashion regulars like Ashley Graham, Candice Huffine, Tara Lynn and Iskra Lawrence got their due. 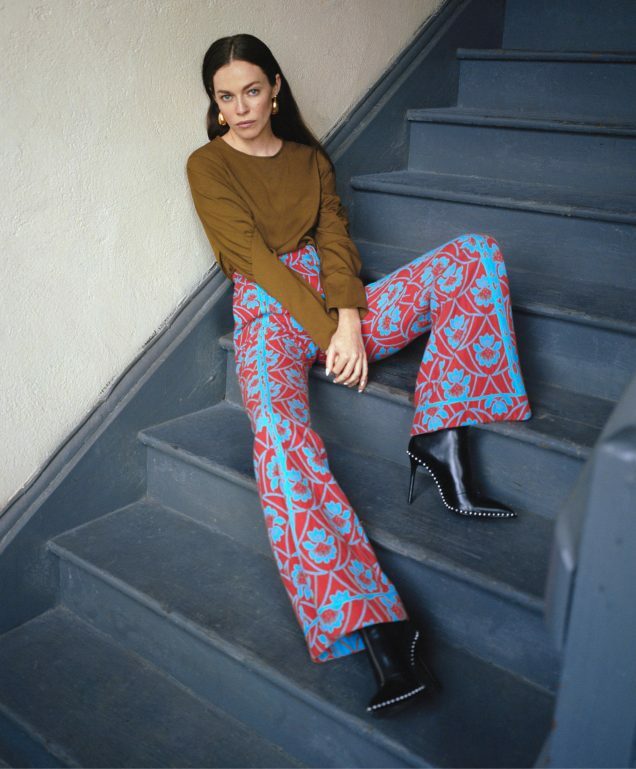 Lynn posed for fast-fashion brand Joe Fresh and Gloria Vanderbilt. Body image activist Lawrence cemented her longtime relationship with American Eagle Outfitters, appearing in the brand’s Cass Bird-lensed #ICAN campaign. For its fall lingerie ads, due out this October, Lane Bryant enlisted the talents of Huffine (a newly minted underwear designer herself) and Graham. Graham, who nabbed 3 of the 10 castings, also featured in the Marina Rinaldi fall campaign and played Nordstrom Anniversary Sale ambassador. Models over age 50 saw increased visibility this season. 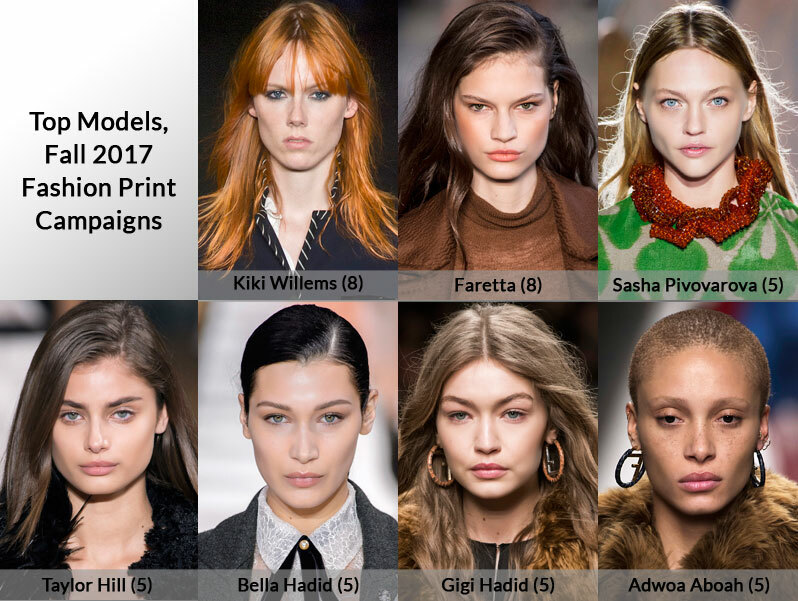 Out of the 457 model appearances, mature models were cast 14 times, marking a sevenfold increase over Spring 2017 when only two campaigns featured a model in this category. The Fall 2017 ad season was neither the best nor the worst in terms of age representation. While age diversity on the runways has increased (somewhat) steadily year after year, the corresponding campaign seasons follow no such trend. Fall 2015, when we first began tracking this figure, was the most age-diverse season we’ve seen (with 22 mature model appearances), Spring 2017 the least (with two). Unlike last season, when Lauren Hutton was the sole representative for models over 50, Fall 2017’s castings were fairly well-distributed. Like last season, whenever featured, mature models came flanked by younger faces. Iman and Kristin Scott Thomas starred in Valentino’s handbag-focused, David Sims-lensed fall spread. “Sims focused on showing strong women with different backgrounds, age and beauty but with one thing in common: a strong personality,” read the release. Gloria Vanderbilt’s similarly diversity-conscious “We Are All One” campaign showed the Somali model, activist and entrepreneur alongside fellow 80s super Tatjana Patitz, among others. Acting legends Catherine Deneuve and Isabella Rossellini posed for Louis Vuitton and Sies Marjan, respectively. Simone Rocha plucked its campaign stars — Jan de Villeneuve, Cecilia Chancellor, Marie-Sophie Wilson and Benedetta Barzini — straight from the brand’s markedly age-inclusive Fall 2017 presentation. On a similar note, Juergen Teller photographed designer-turned-catwalker Vivienne Westwood for her semi-eponymous (it’s now Andreas Kronthaler for Vivienne Westwood) label’s fall campaign. Sports Illustrated favorite Christie Brinkley featured in Edward Enninful’s star-studded “Bridging the Gap” lineup. Grace Gee and writer and filmmaker Chris Kraus helped usher in a new era of Helmut Lang, starring in the “Helmut Lang Re-Edition” campaign. We have a long way to go before transgender models can move through the fashion world with the (relative) ease of their cis peers. As is typically the case, transgender models were the least represented group this season, accounting for only 6 of the 457 castings, or 1.3 percent. Still, Fall 2017 was the most transgender-inclusive ad season we’ve examined — Spring 2017 saw five castings, Fall 2016 zero, Spring 2016 one. The Fall 2017 runways also saw more female transgender castings (12) than any season in recent history. Encouragingly, it was notable brands like Helmut Lang, Sisley and Philipp Plein that helped drive transgender visibility to new (again, relative) heights. 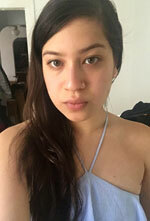 Unsigned trans model Dara (who made her runway debut at the Marc Jacobs show), Chromat favorite Aurel Haize Odogbo and 24-year-old New York designer Gogo Graham (who creates apparel specifically for trans women) were among the provocateurs selected to represent the new Helmut Lang. Swiss designer Philipp Plein, a longtime proponent of transgender inclusion, featured Avie Acosta in the #PLEINLOVESNY ad campaign. Stav Strashko, star of Proenza Schouler’s Pre-Fall 2017 campaign and Marc Jacobs Fall 2017 runway vet (a title she shares with Acosta), fronted Sisley’s Fall 2017 ads. Strashko shared the bill with gender non-binary model Rain Dove and trans male model Casil McArthur (who was not included in our data, which only examined female model castings). While these steps may seem plodding — to an almost defeating degree, especially given the current administration’s recent incursions on transgender rights — they can’t be underestimated. If three’s a trend, four seasons of incremental, but nonetheless visible, improvement could be considered a shift. Our list of diversity-embracing Fall 2017 ad campaigns runs long. Saint Laurent, which famously did not cast a single model of color in its campaigns between 2001 and 2015, upheld its newfound commitment to diversity, hiring three out of four women of color. 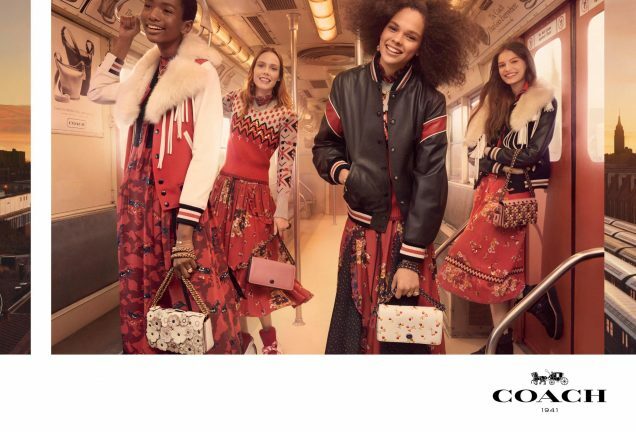 Coach 1941, which has officially graduated from #basic mall brand to hot NYFW ticket under the leadership of Stuart Vevers, featured 67 percent women of color, among them Imari Karanja, He Cong, Hiandra Martinez and house face Selena Gomez. Christian Dior’s Fall 2017 beret-clad army also featured 67 percent nonwhite models (six out of nine), including Adwoa Aboah and Jing Wen. Domenico Dolce and Stefano Gabbana followed up their inclusive Fall 2017 runway with a 63 percent racially diverse #DGPalermo campaign, which also featured one plus-size model. Simone Rocha, an advocate for age diversity on the runways, rallied for her cause, hiring four out of seven models over 50 (and one nonwhite model). Sisley, which cast 40 percent models of color, illustrated the fact that gender is a social construct, hiring two transgender models (one female, one male) and one gender non-binary model. In a similar vein, Isabella Burley, Helmut Lang’s first-ever “editor-in-residence,” tapped an intergenerational cast of creatives, forward-thinkers and rising industry stars — which included three transgender models, two women over 50 and 60 percent nonwhite models — to convey the brand’s new messaging. Ethan James Green, known for his black-and-white portraits of LGBTQ youth, lensed the “Helmut Lang Re-Edition” campaign. “Helmut Lang is a pioneering company and we are going back to its heritage of being bold,” said CEO Andrew Rosen of the minimalist brand’s revamp. Bold — and inclusive. Nordstrom’s Vice President of Creative Projects Olivia Kim went the J.Crew route, hiring “real people who are doing great and extraordinary things, who inspire us in our everyday lives” — along with a host of models — to showcase the retailer’s fall buy. The group included 64 percent women of color (among them Camryn Taylor, Lourdes Taylor, Nia Parker and Nia Lyons of The Hiplet) as well as one plus-size nonmodel. Of course, there’s still plenty of room for improvement. 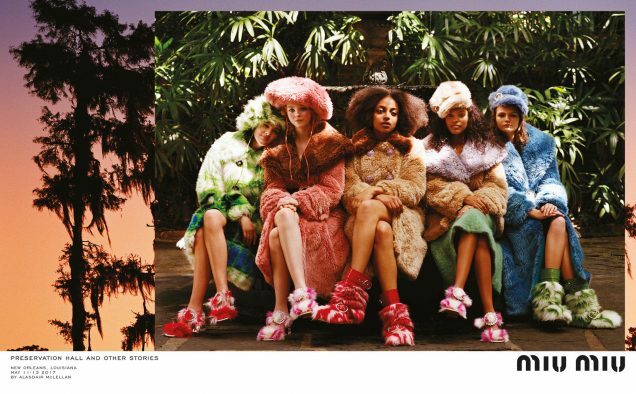 A handful of brands — Balmain, Sies Marjan, Simone Rocha, Vivienne Westwood — cast just one model of color in campaigns featuring six or more women. That said, save for Balmain, all the above-mentioned brands featured at least one model over 50. For the purposes of this report, overall diversity includes race, size, age, gender identity — all of which, of course, intersect. Thus, we wouldn’t consider any of these labels egregious offenders, although it is puzzling that Balmain’s Olivier Rousteing, who’s gone on record regarding the importance of representation in fashion and habitually fills his lineups with models of various backgrounds, only cast a single minority (Grace Bol) in his Fall 2017 campaign. Given that it was Rousteing himself behind the camera, we’re surprised the color imbalance didn’t register. The Fall 2017 season was rife with predictable, status-quo-reinforcing castings. Of the 13 most-booked models for the Fall 2017 campaign season, all, apart from Gurls Talk founder Adwoa Aboah (of Ghanaian, American and British descent), were white. Dutch model Kiki Willems and Croatian model Faretta topped the list with eight ad campaigns apiece. The Hadid sisters*, Taylor Hill, Sasha Pivovarova and Aboah headlined five campaigns each. Anna Ewers, Cara Taylor, Charlee Fraser, Freja Beha Erichsen, Mariacarla Boscono and Natalie Westling shared third place with four campaigns each. Back in February, Shayne Oliver (past and future Hood By Air lead, current guest designer at Helmut Lang) told Vogue that, when casting shows and spreads, his objective is not necessarily diversity, but believability. “I love fashion fantasy, I genuinely do, but in order to create my fantasy, I need to put my collections on the kinds of people who would wear the clothes, the kinds of people who inspired the clothes in the first place,” he stated. “If I drop a supermodel into the show—just because—I’m forgetting my story. So what we do is, we make our own stars.” It’s no coincidence that Helmut Lang’s newest ads — for which Oliver posed — were among the most diverse of the season. In prioritizing personality over appearance, Oliver and his like-minded editor-in-chief naturally achieved diversity. After all, a campaign without disparate models is unbelievable. Diversity is a global reality — one that more and more brands are learning to embrace. *Note: At time of publishing, Bella and Gigi Hadid, who are of Dutch and Palestinian descent, were categorized as white for this report. To more accurately reflect their mixed-race heritage, we’ve updated their categorization to nonwhite and amended our data. Our new racial diversity reading for Fall 2017 is 32.8%, Spring 2017 is 27% and Fall 2016 is 25.7%.